The current state of affairs in the Arsenal-o-sphere is dire, people. Injuries, injuries, injuries. Dropped points. A critical European fixture on the horizon this midweek. Look. Things are bad. Everyone's injured. We're not winning games. The sun's gonna burn out in a few billion years. 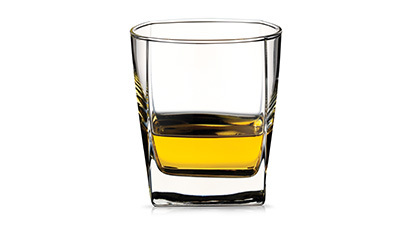 But I'm already going to the pub for the game on Saturday, so are you gonna drink whiskey with me or what? 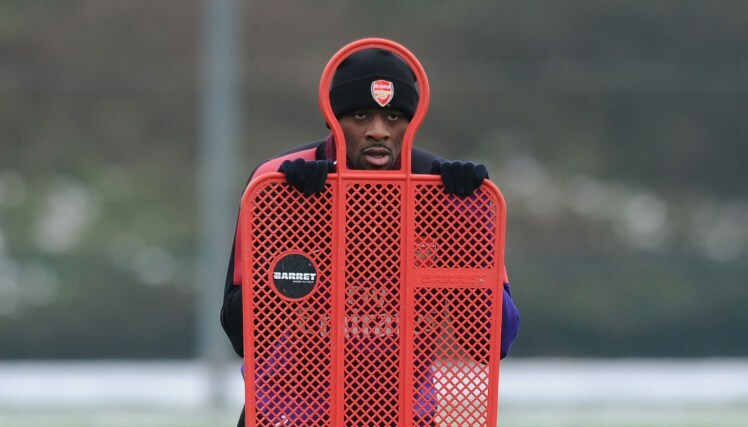 This is a stock photo from when Abou Diaby was in training. I have no idea when that might have been. LOL, okay. Is that it? Theo Walcott could be back, that's something, right? Laurent Koscielny will face a late fitness test. Kieran Gibbs should be available after a calf problem I didn't know he had. Elsewhere, it'll be another seven years for Arsenal's walking/not-walking wounded. Also, did you know that Abou Diaby is hurt? Predicted XI: Cech, Bellerin, Mertesacker, Gabriel, Monreal, Flamini, Ramsey, Oxlade-Chamberlain, Campbell, Ozil, Giroud. Sebastian Larsson and Jermaine Defoe are both large doubts with knee and hamstring injuries, respectively. Tactically, under new manager Sam Allardyce, Sunderland have started to use a three center back system, essentially playing a 5-3-2 in recent wins over Crystal Palace and Stoke City. John O'Shea, Younes Kaboul, and Sebastian Coates are the nominal center backs, while the wingbacks are likely to be Patrick van Aanholt and either Billy Jones or DeAndre Yedlin. 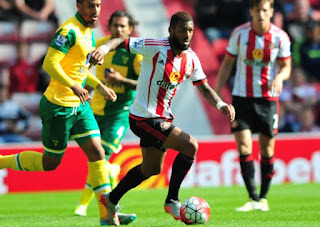 In a fun little "let's kick you while you're down, Arsenal" bit of happenstance, Sunderland will be anchored in their defensive midfield by Yann M'Vila, who is on loan from Rubin Kazan, having apparently passed a medical, I guess. I would expect Adam Johnson and Duncan Watmore to get starts in the event that Larsson and Defoe cannot play. Predicted XI: Pantilimon, Coates, O'Shea, Kaboul, Jones, van Aanholt, M'Vila, Johnson, Cattermole, Watmore, Fletcher. In a testament perhaps to the amount of parity in the league this year, Arsenal have gone three matches without a win and still are only two points off the league-leading pace. It's the first time Arsenal have gone three without a win in league play since the end of last season, when they lost to Swansea, drew at Old Trafford, and drew Sunderland at home. You could argue that the Gunners are throwing away points that a reasonable title winner should pick up (three points dropped at the Hawthorns, two points dropped at Carrow Road,) but given the injury circumstances, it's almost a miracle they have any players with legs left. Sunderland, on the other hand, are enjoying their best spell of the season, having won two straight for the first time since last May (funny how they keep playing at the Emirates while on the upswing...) Since appointing Sam Allardyce as manager, the Black Cats have won three and lost three; prior to his appointment, Sunderland had won zero, drawn three, and lost five. Two weeks ago, they beat Crystal Palace at Selhurst Park (Palace now have the 12th best home record in the league and the 3rd best away record) and last weekend, they beat Stoke City 2-0. It's been enough to scrape by; Sunderland are now two points clear of relegation, ahead of Bournemouth, Newcastle, and Aston Villa. Arsenal took four of a possible six points from Sunderland last season, winning at the Stadium of Light last October, then playing out a scoreless draw at the Emirates in May. The Gunners arrived at the Stadium of Light in seventh place after eight games, having just scraped a draw from Hull at the Emirates the week prior; they were already 11 points of the top of the table. In desperate need of a win, Alexis Sanchez scored twice, both from dire Sunderland mistakes, as Arsenal won 2-0. The latter mistake came from Vito Mannone and marked the end of his run as Sunderland's starting goalkeeper. When the clubs met at the Emirates in May, Arsenal had 75% of the possession, but couldn't find a goal; the match ended scoreless. In fact, this fixture has ended in a scoreless draw in three of the last five seasons. 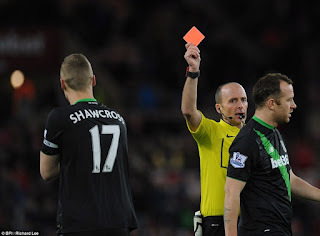 Prior to last year, it ended 0-0 in March of 2011 (a week after Arsenal's devastating League Cup Final loss) and on the opening day of the 2012/13 season. 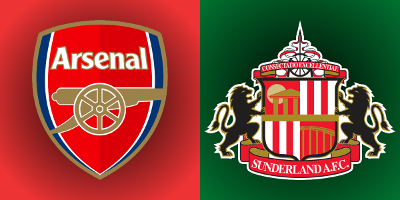 Arsenal have not had the easiest of times with Sunderland in recent seasons, though their overall record does not quite reflect that; the Gunners have lost just once in their last 23 league meetings. Sunderland's last win over Arsenal came on November 21, 2009, 1-0 at the Stadium of Light, thanks to a Darren Bent winner. The referee is West Yorkshire-based Robert Madley. This is the first time Arsenal will see Madley this season; the Gunners saw him twice last year, both victories at the Emirates, first in the FA Cup third round over Hull City in January and in the last league game of last season, a 4-1 win over West Bromwich Albion. The 30-year-old Madley has been in the Select Group since 2013; Arsenal have not lost a match with him in charge. Sunderland have already seen Madley twice this season, first for a 2-2 draw at Aston Villa and most recently for their 3-0 derby victory over Newcastle. Sunderland scored all three of their goals against ten men, after Fabricio Coloccini was harshly sent off just before halftime. 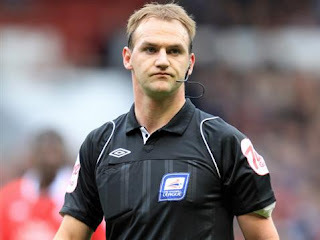 Madley took charge of the League Cup tie between Southampton and Liverpool on Wednesday night, which Liverpool won 637 to 1. John Painting is a contributing writer to the Modern Gooner and is not funny. You can follow him on Twitter @zorrocat to berate him.